It’s Time D-Heads! 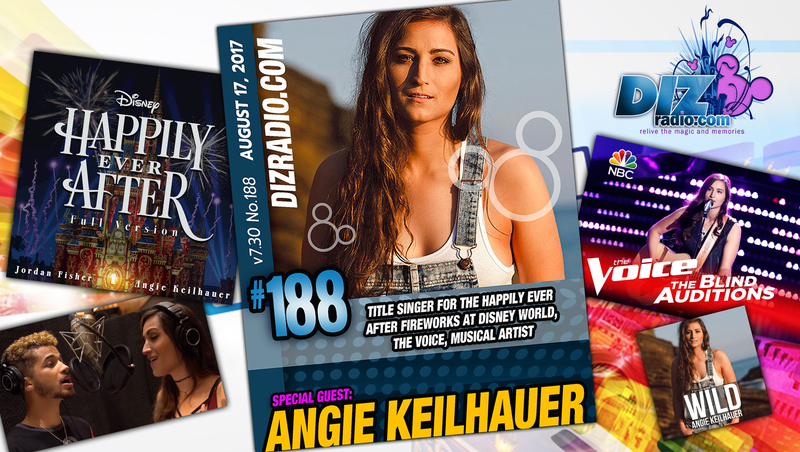 This week we follow our dreams and look for our Happily Ever After with none other than ANGIE KEILHAUER (Singer for the Happily Ever After Fireworks at Walt Disney World, The Voice, Musical Artist). 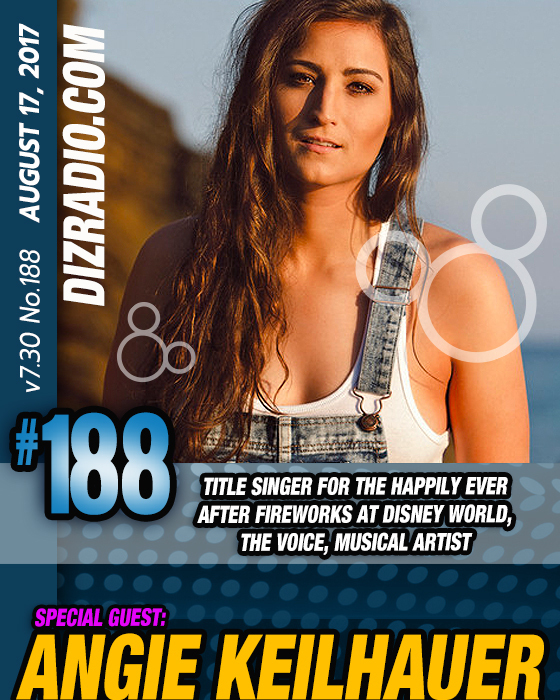 Angie stops in and talks about following her dreams, working on cruise ships, her newest album, getting turned down many times on The Voice and being chosen for the All-New Happily Ever After Fireworks at the Magic Kingdom! In addition no show is complete without the D-Team and you ask the questions and Erin has the answers in I Want To Know! We have Paige fresh from the Walt Disney World Resort with a symphony for your ears in the Magical Music Review and let’s not forget a Blu-Ray, DVD, or Stream from The Vault with Jason! Domenic is here with tips for your Walt Disney World Vacation in The Short Leash and Randy is here with the latest in Disney Multi-Media. There is news fresh off the D-Wire with the latest from Halloweentown, Debbie Reynolds, Disney Channel, Disney XD, Baymax, Walt Disney World, the Magic Kingdom, Mickey’s Not-So-Scary Halloween Party, Hocus Pocus Spelltacular, Disney Parks Merchandise, Yondu, Guardians of the Galaxy, MuppetVision, Marvel and more!